The Historic Highlands Neighborhood is a Great Place to Live. Come visit us! just north of downtown Los Angeles. This website has been created to provide a forum to share information with our neighbors and to enable others to learn more about this great neighborhood of tree-lined streets & homes built in the early 1900s in a mix of styles, including Craftsman, Spanish revival, Tudor, and bungalow cottages. We have Annual Meetings Twice per/year. Check back to this space for dates. General Meeting Date TBD. Check back to this space. Please join us at the Santa Catalina Library branch of the Pasadena Public Library. Date and TBD. Everyone is welcome. Come and hear updates on various activities in the neighborhood. Meet new neighbors and catch up with old friends. The City of Pasadena will provide an overview on “Join the Conversation”. The City 2019 Budget challenges and priorities will be discussed. Our organization welcomes you to our lovely Pasadena / Altadena neighborhood. We stand in for any great American city. We’ve hosted many, many film crews. And, we can work with your production too. And we were proud to became a Landmark District a few years ago. Check back here often to see what we’ve been up to. We welcome you to participate with us! 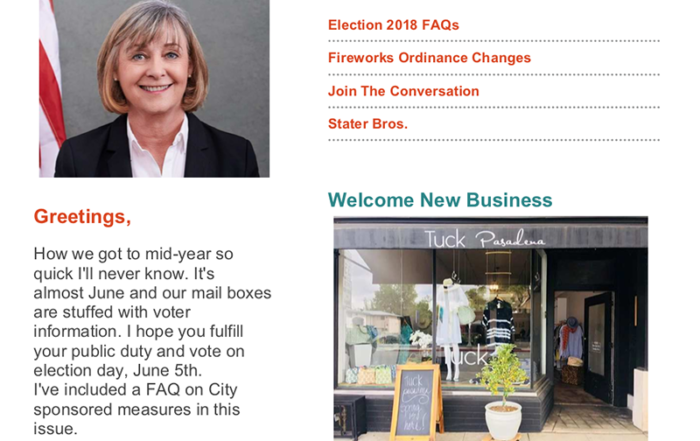 Download the most recent newsletter for Pasadena's District 2. (June 2018) Click on image below. 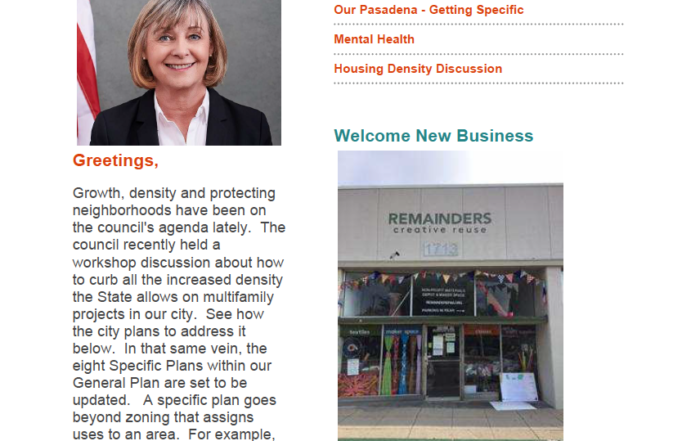 Download the most recent newsletter for Pasadena's District 2. (May 2018) Click on image below. 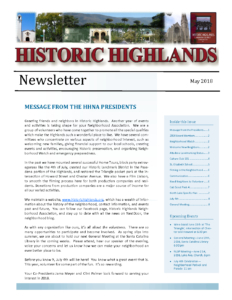 Historic Highlands Neighborhood Assn. wants you! If you live in the neighborhood, please contact us! We need volunteers for committees, events and more.